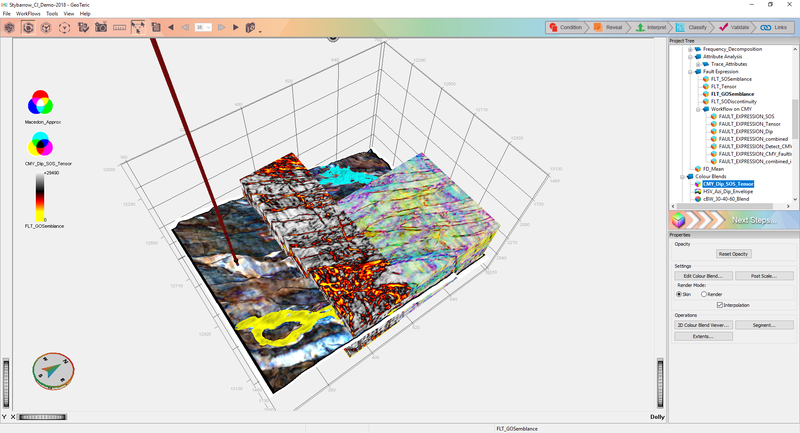 Managing the display of markers and well logs within GeoTeric is now easier in GeoTeric 2018.1! 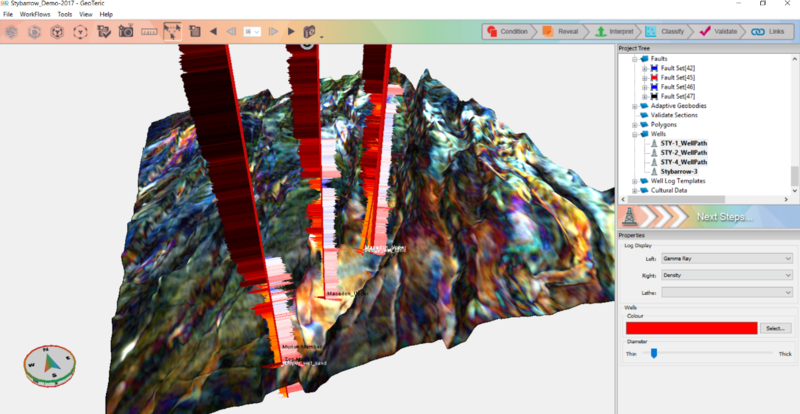 This is the second part of a two-part (part 1) blog post focusing on ‘Validate’, GeoTeric’s seismic forward modelling module that recently became available with the release of 2018.1. The tool is meant for interpreters to be able to easily test hypotheses by creating models that can be matched back to frequency decomposition results as well as reflectivity data. 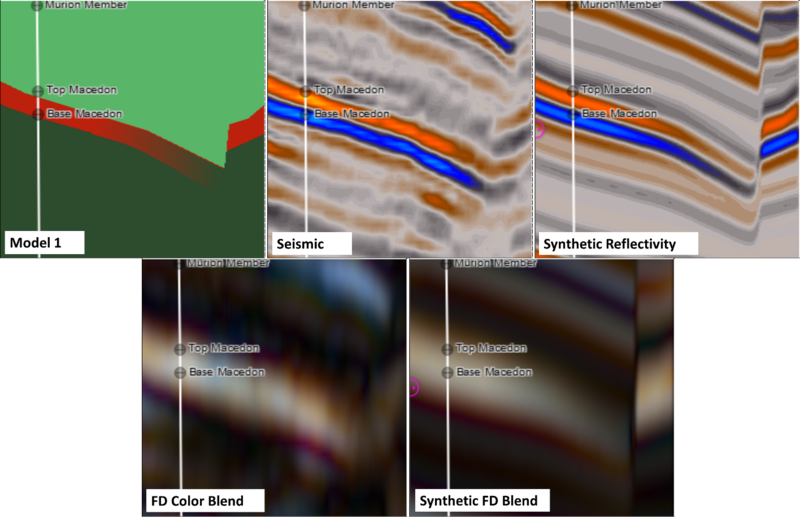 This will be a two-part blog post focusing on ‘Validate’, GeoTeric’s Seismic Forward Modelling module that recently became available with the release of 2018.1. 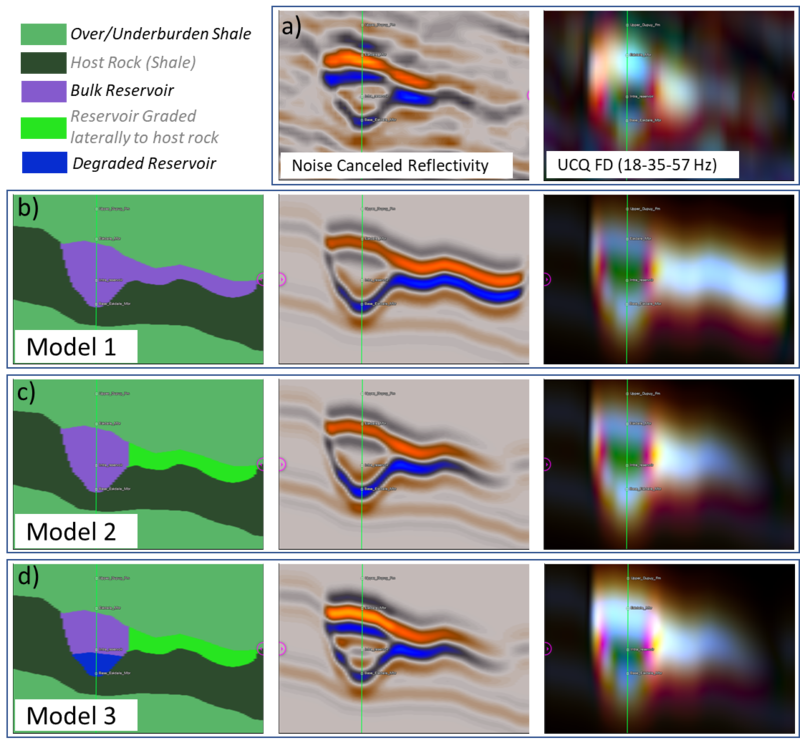 The tool is intended for interpreters to be able to easily test hypotheses by creating models that can be matched back to frequency decomposition results as well as reflectivity data. This week’s post works through a simple example of testing a hypothesis using Validate. In the next post, we will go over some more advanced topics. We begin by focusing on the Eskdale reservoir in offshore Australia’s Exmouth Basin. This field is comprised of deepwater channel sands compartmentalized by faults. We’ll be looking at the first exploration well, Eskdale-1 (Fig. 1), which found only residual oil in a 75-meter-thick sand package. 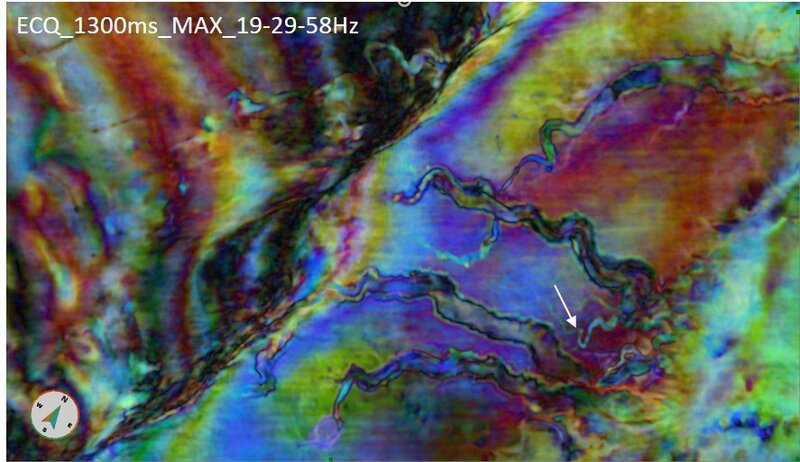 Figure 1: Gamma Ray and acoustic logs over the Eskdale reservoir in the Eskdale-1 well. Note the change in acoustic impedance at the “Intra_reservoir” marker. Figure 2 shows a map view of the frequency decomposition RGB colour blend draped 10ms below the top of the Eskdale member. The Eskdale-2 well was drilled in a separate fault block and found economic oil, so the task of defining the reservoir extents both in terms of reservoir quality sand and fluid content becomes critical if the field is to continue to be appraised and developed. As evidenced by the map below, GeoTeric’s Frequency Decomposition attributes reveal many aspects of the depositional system. But the question has always been, “what do the colours mean?”. Validate can help answer that question. The Report View window is included among the many new features of GeoTeric 2018.1, such as Validate and the Master Project. It can be used to rapidly send items in the 3D Scene to a plan view for PowerPoint or other reporting documents. The value of this tool is most evident when dealing with large data as no time needs to be spent waiting for data to be extracted all over again. Whatever is in the 3D Scene will be sent to the Report View.